As the genie twins say, "Make it together, best friends forever!" Love (/ləv/) noun. A feeling of strong or constant affection for a person. No matter what form your love takes at home, it’s hard to imagine celebrating Valentine’s Day as a parent without celebrating the little ones who fill your days with endless craziness, discovery, and heart-filled fun. For the Shimmer & Shine lover in your family, these pink-frosted “make it together, best friends forever” heart cupcakes are the perfect way to do exactly that! 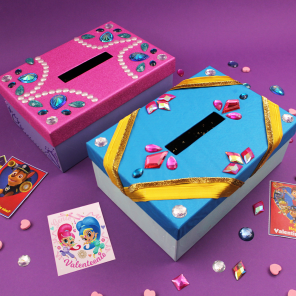 Like the genie twins, we think that working together with family to tackle problems and make the best of every situation is a super important part of showing love. 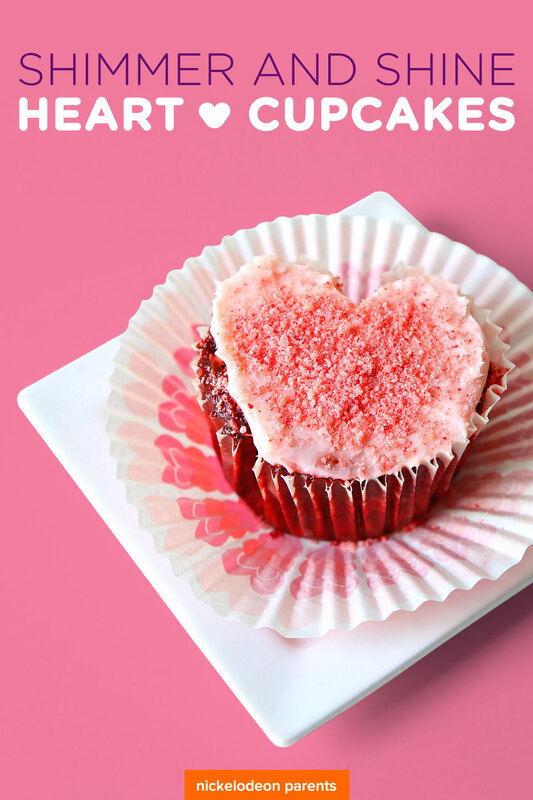 Thankfully, these heart cupcakes are a cinch to whip up, so even the little ones can help! All you need are basic cupcake-making supplies, some marbles or aluminum foil, and pink sprinkles or edible glitter if you want to add some extra Shimmer flair. If these cute cupcakes don’t spell out “love” this Valentine’s Day, we’re not sure what will! 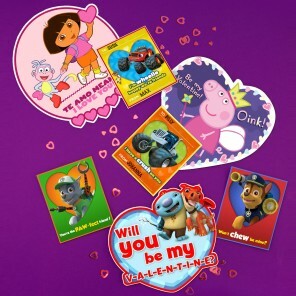 After making these cupcakes, how do you plan to celebrate your little ones this Valentine’s Day? Step One: Follow instructions to make your favorite red velvet cupcake—stop once you have finished making the batter and before you begin baking. Step Two: Place liners in your cupcake baking tin and divide batter evenly among them. Each liner should be no more than 2/3 full. Step Three: Gently use your index finger to push the outside of the first cupcake liner toward the center of the cupcake—you should be able to see the bottom of the cupcake tin. 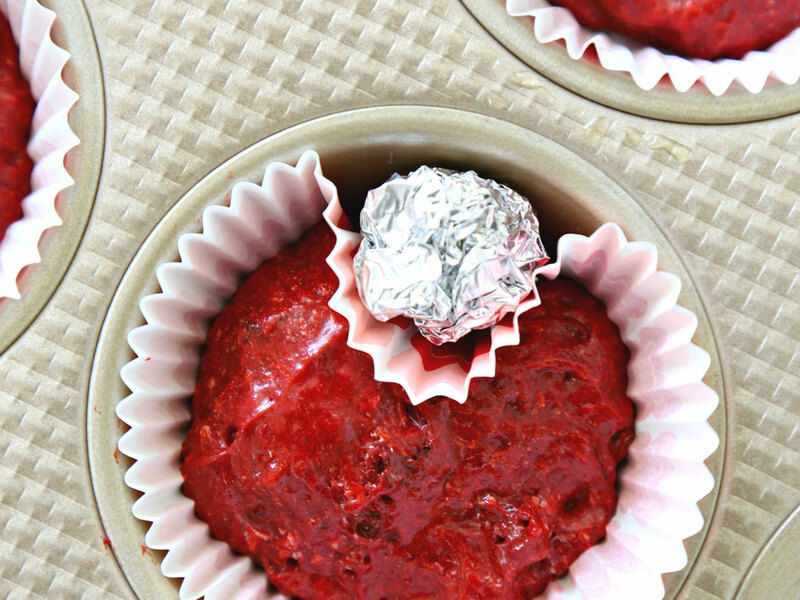 Place either a small marble OR aluminum foil ball into the indentation so that your cupcake retains its heart shape while baking.Repeat for remaining cupcake liners. Step Four: Bake in preheated oven as instructed. Allow cupcakes to cool completely, then frost with pink frosting and sprinkles (or edible glitter, if you have it! ).